Deal Categories: Protein and Energy bars.Stores: Muscle and Strength. Buy one box of ProSupps MyBar Pro & Get one free for $29.99. This is the best total price we saw by $30. Customers rated it 5/5 star. 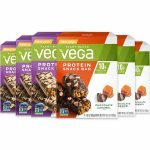 Deal Categories: Protein and Energy bars.Stores: Supplement Hunt.